University United Methodist Church invites you to join us for a weekend of teaching and conversation with Dr. Marcus Borg, one of the most widely known and influential voices in progressive Christianity. The weekend event – “What Does It Mean To Be Christian Today?” – includes a Friday lecture on “Reclaiming Christian Language” at 7 pm, and two Saturday lectures on “Where Do We Meet the Sacred?” and “Radical Discipleship in an Unjust World” at 9:30 am and 1:30 pm. Borg will preach at UUMC’s Sanctuary worship service at 11 am on Sun. April 6. Registration for the Friday and Saturday events is $40. Student registration is $20. Online registration will begin in February. There will be question-and-answer sessions and book signing opportunities during the weekend. Online registration will begin in February. 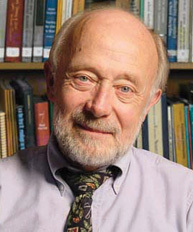 A major figure in scholarship related to the Historical Jesus, Borg is the author of 20 books and serves as Canon Theologian at Trinity Episcopal Cathedral in Portland, Ore. Described by The New York Times as “a leading figure in his generation of Jesus scholars,” Borg has appeared on NBC’s “Today Show” and “Dateline,” PBS’s “NewsHour,” ABC’s “Evening News” and “Primetime,” NPR’s “Fresh Air” with Terry Gross, and several National Geographic programs. A Fellow of the Jesus Seminar, he has been national chair of the Historical Jesus Section of the Society of Biblical Literature.